The first set of new Tejas coaches manufactured by the Integral Coach Factory (ICF) in Chennai will be flagged off on Friday. The ‘swanky’ coaches will be inaugurated by seniors railways officials at the ICF Furnishing Division, Chennai, later in the day. The manufacturing of 23 new coaches for Tejas Express was allocated to Chennai-based ICF by Railway board for Northern Railways. 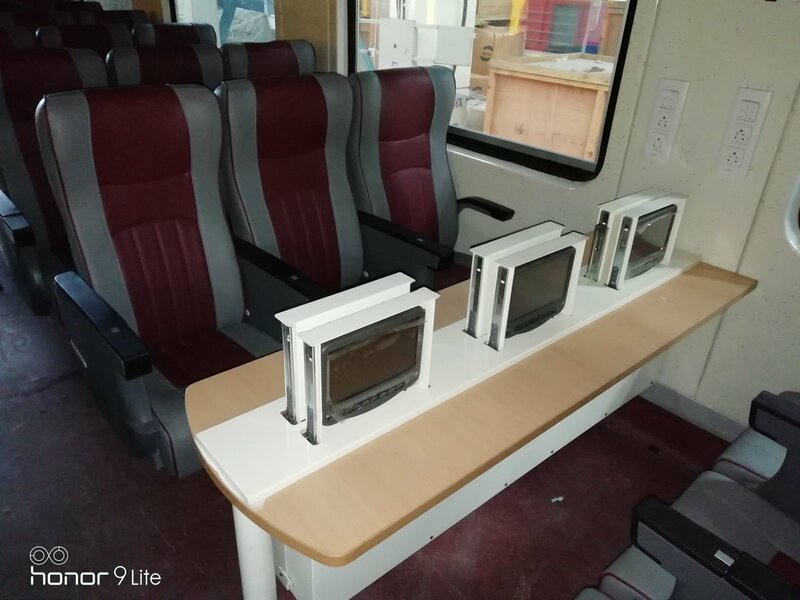 Similar to the Shatabdi Coaches, the new coaches have the same seating capacity of 78 passengers in each of the normal air-conditioned chair cars (in 3+2 Seating row arrangement) and 56 passengers in the executive class air-conditioned chair cars (in 2+2 Seating row arrangement). Unlike the earlier Tejas coaches where seats are large to accommodate the audio-visual display, the new coaches have normal sized seats with audio-visual display units well fitted behind every seat, without compromising on the aesthetics of the interiors. Apart from this, the coaches have FRP interior panels, ergonomic seats, smart windows with motor operated Venetian blinds, onboard infotainment with Live TV, Audio, Video, and GPS based passenger information system. Recently, ICF had successfully conducted the trial-run for the 16-bogie metro-like train, called Train 18. The train-set was manufactured by the ICF within a record time of 18 months.